Top Animation News: Rick and Morty, Hunchback, Dragon Ball and more! Top Animation News is a weekly column that rounds up the biggest, best and breaking stories from the animation industry. This edition covers January 11 to 18, 2019. 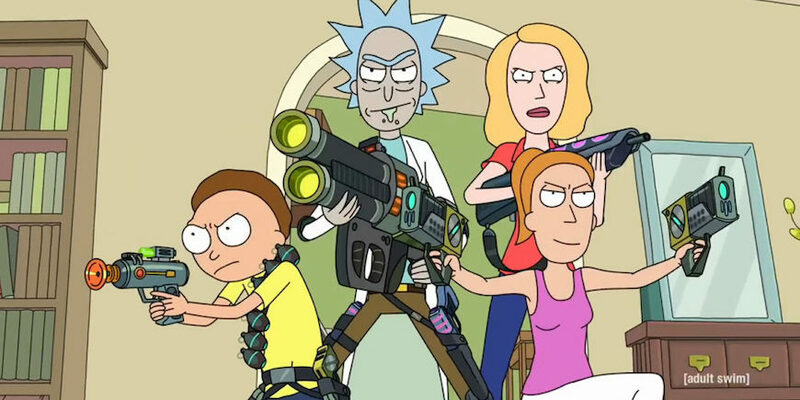 Animation for the much-anticipated fourth season of Adult Swim’s comedic cartoon Rick and Morty has begun at Bardel Entertainment. Eric Bofa Nfon, who works for the Vancouver-based studio, tweeted a picture of a boardroom with an Emmy award, captioned, “Casual meeting. First week back! Feels great #RaM4". Though no Rick and Morty season four release date has been announced, production will doubtlessly move quickly as the series is being created in Toon Boom Storyboard Pro and Toon Boom Harmony animation software. For more on the Rick and Morty season four animation story, head over to “Inverse”. In 2019 alone, Disney has three live-action remakes planned based on its 2D animated classic films Dumbo, Aladdin and The Lion King. The House of Mouse announced this week The Hunchback of Notre Dame would be getting the treatment as well, with the feature to be titled simply Hunchback. David Henry Hwang (M. Butterfly) is attached as the screenwriter, with Oscar-winning composers Alan Menken (the original The Hunchback of Notre Dame) and Stephen Schwartz (Wicked) on music, and Josh Gad (Frozen) producing. Swing into Disney’s The Hunchback of Notre Dame live-action remake on “Deadline”. It’s that time of year again — the Toon Boom Reel 2018 collects and celebrates amazing, artistically compelling animated content created in Toon Boom Storyboard Pro and Harmony by studios, students, freelancers, hobbyists and everything in between. The most recent edition brings together 34 pieces from around the globe, showcasing the diversity of style and scope possible in the industry-standard animation software. Watch the Toon Boom Reel 2018 above and read more about it on the blog. American entertainment giant NBCUniversal has announced it will join the lucrative streaming business in 2020, putting itself in direct competition with Netflix, Amazon Prime and Hulu as well as upcoming services from Disney, WarnerMedia and Apple. Combining homegrown content like The Office with partner programming, it will operate on an ad-supported free model for customers with a cable subscription (and ad-less for a fee). This is great news for the animation industry; streaming services have helped drive a global production boom. ‘Toon’ into the NBCUniversal streaming service story on “CNN”. This past Wednesday, Japanese anime Dragon Ball Super: Broly was the number-one film at the domestic box office — taking in over $7 million on its opening night. This figure is higher than the combined total of all the other features on the top-ten list, including The Upside, Aquaman and Spider-Man: Into the Spider-Verse. Dragon Ball Super: Broly distributor Funimation Films says this is the highest-ever opening for an event film. Head over to “Cartoon Brew” for more on the Dragon Ball Super: Broly box office details. Waco O’Guin and Roger Black, the co-creators of Netflix’s adult animated series Paradise PD, sat down for an interview with Toon Boom to talk about producing the cop-centred comedic cartoon. 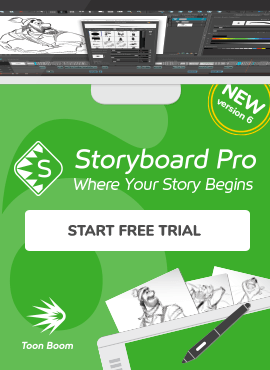 Notably, they discuss how it differentiates from their cult-hit Brickleberry, the freedom that comes with creating content for a streaming service and their experience doing it with Storyboard Pro and Harmony. Read the full Waco O’Guin and Roger Black Paradise PD interview on the blog. Late comics creator Stan Lee, the visionary behind many of Marvel’s biggest titles like The Avengers, Spider-Man and X-Men, was known for making cameos in films and television series based on his creations. Having passed away in November, he will make his final appearance this Sunday on Disney XD cartoon Marvel’s Avengers: Black Panther’s Quest. In the episode, titled “T’Chanda”, Lee will be playing an army general in a flashback scene in the 1940s and was deliberately designed to reflect the legendary creator’s own views on intolerance. Find out more about Stan Lee’s final cameo on “Gizmodo”. The prime minister of Canada, Justin Trudeau, will be making a cartoon cameo on Corner Gas (pre-production in Toon Boom Storyboard Pro). The Canuck animated series will continue a tradition set by its live-action predecessor, which welcomed every sitting national head of government since it launched in 2004. Alongside Justin Trudeau, the second season of the Corner Gas cartoon will feature guest voices from homegrown celebrities like Chris Hadfield, Michael J. Fox, Jann Arden and Russell Peters. Visit “Daily Hive” for more details 'aboot' Prime Minister Justin Trudeau’s Corner Gas cameo. View the Herzing College and Big Jump Entertainment partnership interview on “CTV Ottawa”. Having won the top prizes at both the Annecy and Animation is Film festivals, Denis Do’s Funan will be screened to audiences across the US this spring. GKIDS has acquired the rights to distribute the semi-autobiographical 2D animated feature, set during the Khmer Rouge regime in 1970s Cambodia. 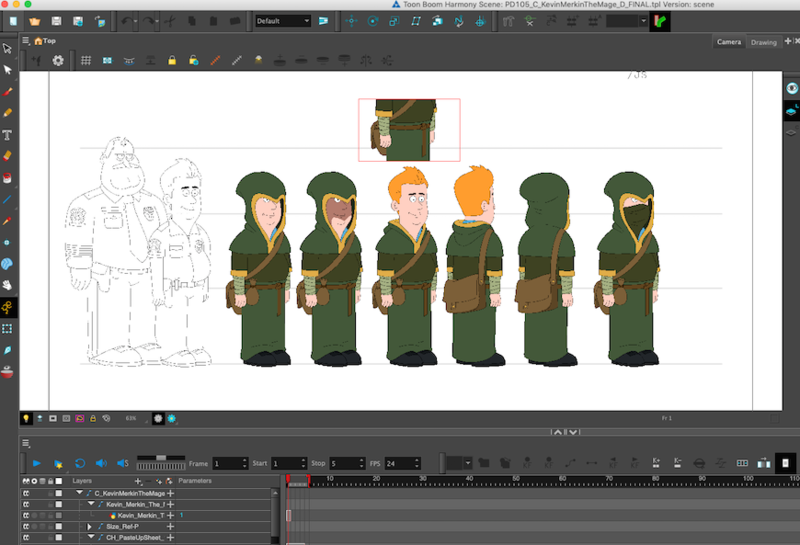 Funan was produced in Toon Boom Storyboard Pro and Harmony. Get all the Funan US theatrical release details on “Animation World Network”.